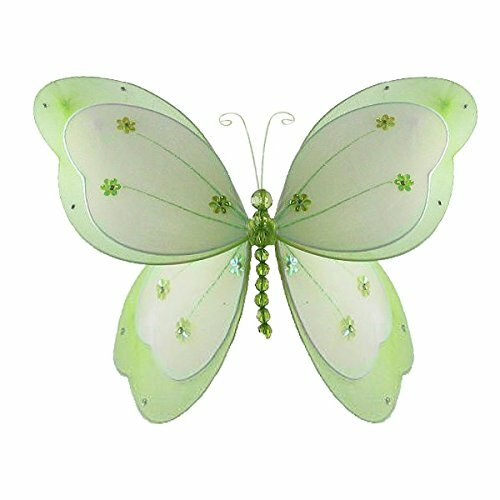 Beautiful butterfly bathroom decorations will turn your bathroom into a lovely garden very quickly. Butterfly bath decor is a good idea for anyone who enjoys the beauty of nature, but especially for someone at one of life’s new beginnings. 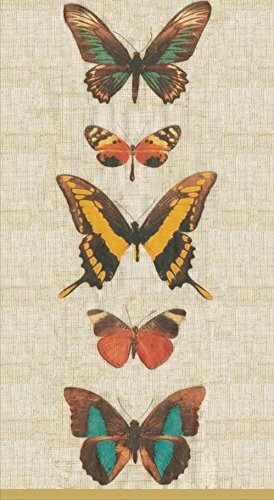 Couples looking forward to marriage, women who are pregnant, students right after graduation, or on a more difficult journey like an empty nest or widowhood or a divorce — these gorgeous butterflies will be a constant reminder that new beginnings are a natural part of this life. Whatever your reason, I hope your butterfly bath decor brings you great joy. It’s easy – let’s get started! 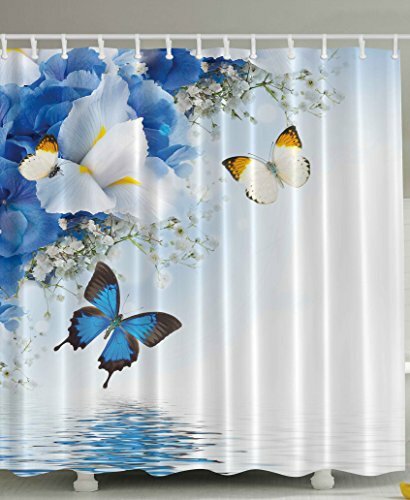 After you have removed all existing decor from your bathroom, pop in a new shower curtain in your butterfly theme. Because shower curtains take up so much space, they are the quickest way to set your bathroom theme and will keep you focused. I have to admit that one of the reasons I chose this particular shower curtain as a beginning was because of its name – Patience Pays Off! What a wonderful daily reminder. Your bathroom colors will be taken from the shower curtain you choose – for example, in this instance, I would choose pink bath towels and bathmat, keep my accessories tied to the pinks and oranges and add a pop of green. There! 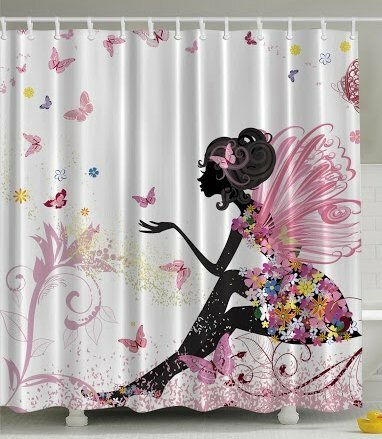 My “patience pays off” shower curtain has completely created my butterfly bathroom plan. 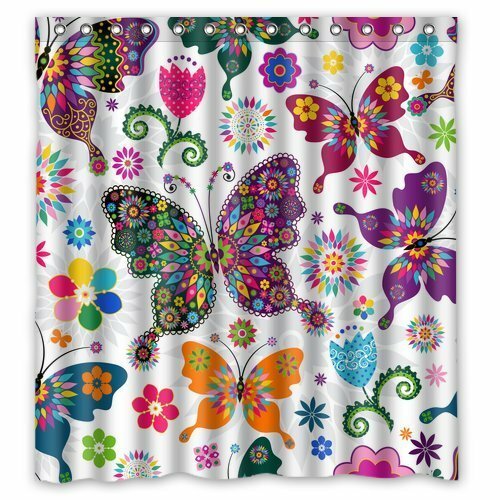 Butterfly shower curtain sets come in all colors — click on any of these to see even more. 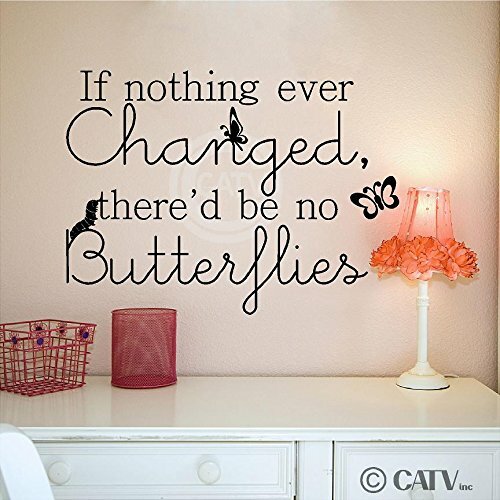 On your butterfly bathroom walls you can use butterfly quotes, fun decals, sculptures, or framed photos. This is a great spot to show off your photography skills with a collage of your own photographs of butterflies in your garden. You can obviously see that I love quotes and inspiration around me always. 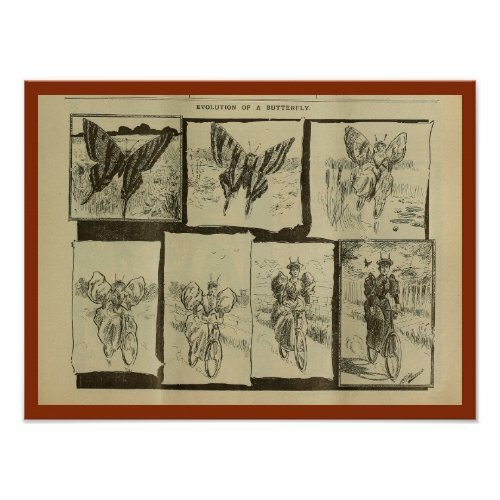 Let your butterfly bathroom decor express your own preferences. Two or three hanging mesh butterflies would be delightful if you have a large wall space. Always always choose butterfly bathroom decorations that make you smile. Whatever your choice, enjoy! 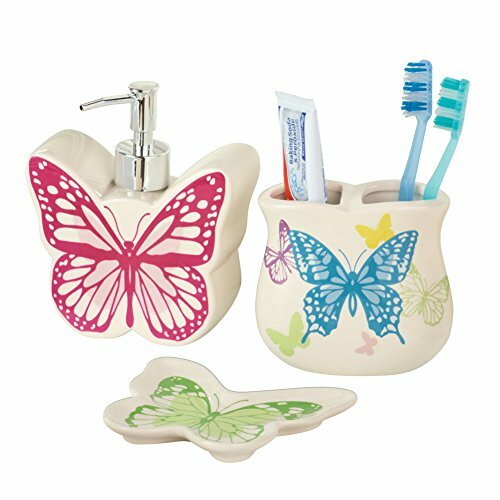 Your butterfly bathroom accessories should be beautiful but also functional, especially if your bathroom is very small. I like to buy these accessories in sets, so that I have everything I need immediately. You may prefer to buy them individually. The most important thing is that your accessories serve the purposes of you and your family — and of course, add accents for your themed bathroom decor. 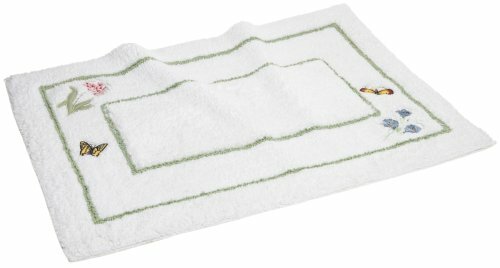 This featured set includes a soap or lotion dispenser , toothbrush and toothpaste holder and a soap tray — which I would use as a jewelry tray. The bright colors of this set caught my eye immediately. 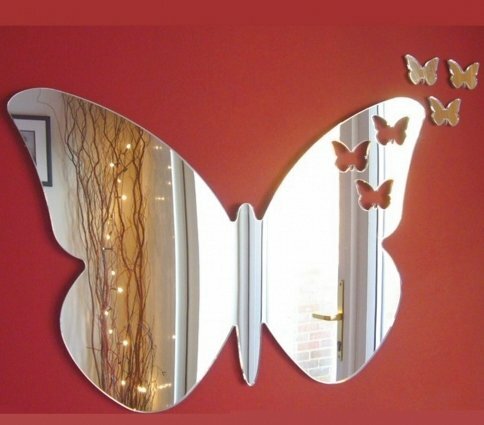 Butterfly bathroom decorations with a purpose — love it! Again, you can click on any set of butterfly bath accessories to see even more. I hate to repeat that constantly, but people who are not familiar with blogs or are new to the internet are often not aware of that little shopping aid. And it does save important minutes for busy women. 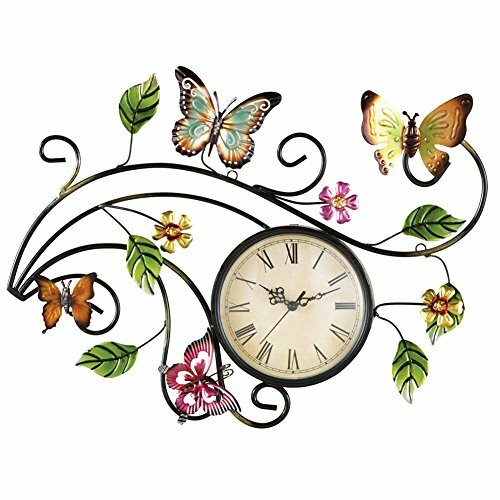 Butterflies are one of the most beautiful and easiest to accomplish of the bathroom decorating themes. 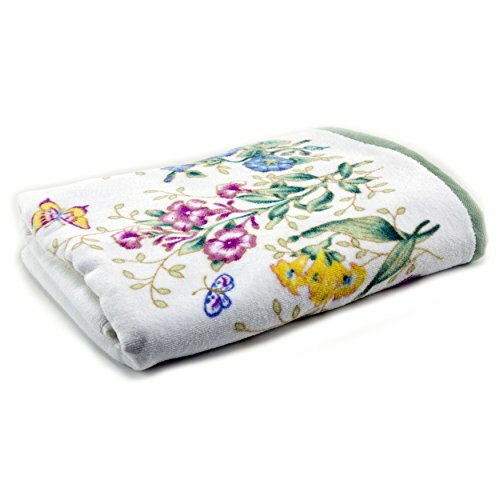 Not only are there elegant and colorful accessories and shower curtains to choose from, but linens with butterflie s are easy to find and fun to display. 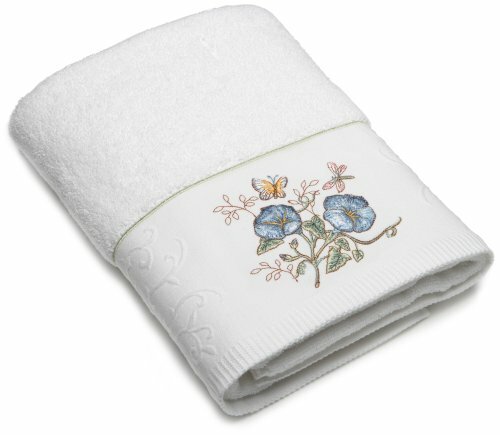 The Lenox patterns are my personal favorites. 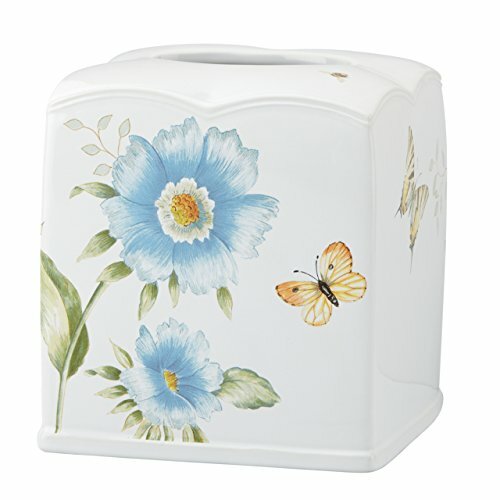 From trash cans to light switches, the ideas for your butterfly bathroom seem never-ending. Choose all the items you would love to put in your new bathroom and then remove one or two things. 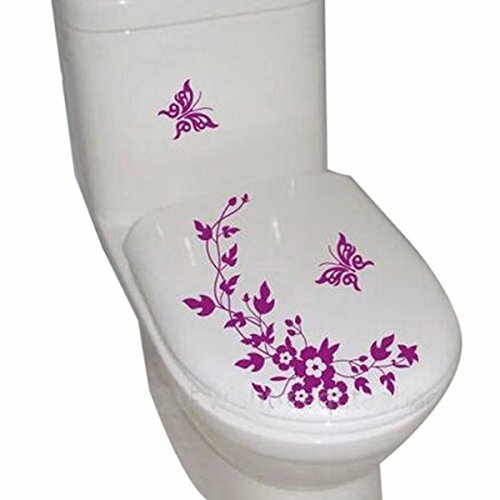 It’s easy to overwhelm your family and your guests with a much-too-much themed bathroom. 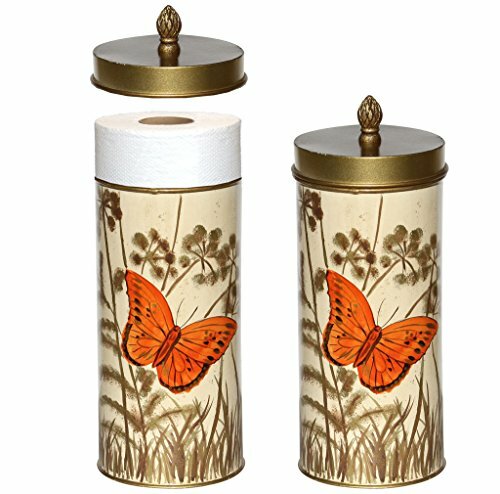 You really do not need a butterfly on every item in the bathroom to carry out your theme. 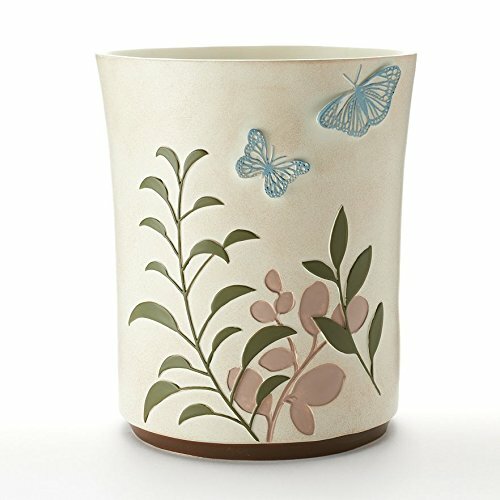 PS Remember to take before and after pics of your butterfly bathroom! You will be so glad you did — and your friends will want to hear all about how you did it.